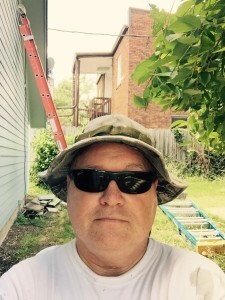 About a week ago, Greg Mrakich Painting started a new exterior project in Carmel, Indiana − a suburb just north of Indianapolis. The house is located in a neighborhood that is less than twenty years old. This in itself is quite a change after working on much older homes this past summer in the Fletcher Place and Meridian-Kessler neighborhoods. To do it right, older homes tend to require a lot of prep work and potentially – carpentry work. You just never know what you are going to find when you start a new project. On the hundred plus year old Fletcher Place house, not surprising, I found rotted wood around and under windows that had to be replaced before painting. Being an older house, the replacement wood had to be custom fabricated to fit into place, not a job for a novice! 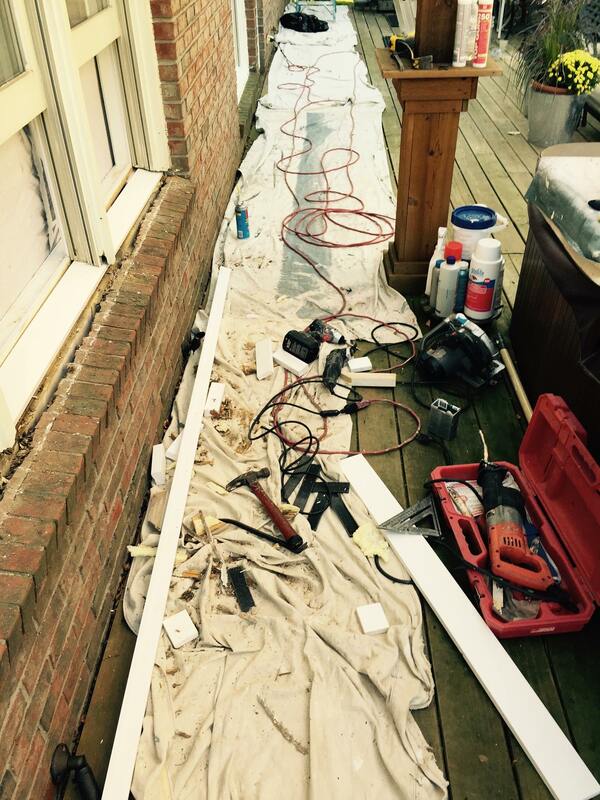 Thankfully, the homeowner wanted his paint project − including all the prep work and repairs done right. I knew just who to call for the carpentry job! Getting back on the subject of the Carmel house. Surprisingly, 12 out of 17 window sills had rotted wood. This should not happen on a house of this age, but unfortunately, it does. After delivering the homeowner the bad news, I was given the “green light” to “fix it right”; adding dollars to the cost of the project. The homeowner was also fortunate that I have a master carpenter, and jack of all trades, contractor buddy that would “fix it right”. Upon taking apart the window sills, the carpenter found that the wood used to originally build the sills was cobbled together with scrap wood. Clearly, we were dealing with poor construction that would never hold up in areas that experience inclement weather. Note: A good trades person will know other good trades people to address needs outside of their trade. I’m always asked for referrals for plumbers, plasterers, HVAC technicians, carpenters, carpet cleaners, etc. and I’m always happy to refer. While the carpenter got to work rebuilding the window sills, I was busy prepping the wood siding for painting. It was good that the homeowner scheduled the house for painting this summer. To wait another year could have added the extra cost of replacing some of the wood siding, and also cause interior damage as a result of the damaged sills. I patched up the areas that were bad, did all the required prep work which included spot priming, caulking and cleaning surfaces to be painted … and started putting on two fresh coats of paint on the siding. Between the window sill replacement and painting of all the wood siding and trim on this two story home, the completed job will take about three weeks. Why so long? To do it right, you’ve got to do the prep work. There is no point in doing painting at all if you are not going to address the home’s issues. Plus, Greg Mrakich Painting does not run paint crews. The work is done the old fashioned way, with brushes and rollers. It takes longer, but the results are worth it. You get a much better finished product that will last for years. We are skilled tradesmen. Which brings me to another related subject. While working on this Carmel house, a large painting company franchise vehicle pulled up to a house down the street. A crew of eight laborers got to work masking off the house (also a two story). At nine the following morning, a guy with a sprayer showed up. He painted the entire house by himself in five hours. Painted might not be the right word. The house was lightly misted with paint. It was finished in less than two days! I have to wonder… the house is about the same age as the one we are still working on, and was probably built by the same developer (although I don’t know for sure). There was virtually no prep work done. What do their window sills look like beneath the painted surface? How long will that paint job last? Does anybody really care (besides me)? 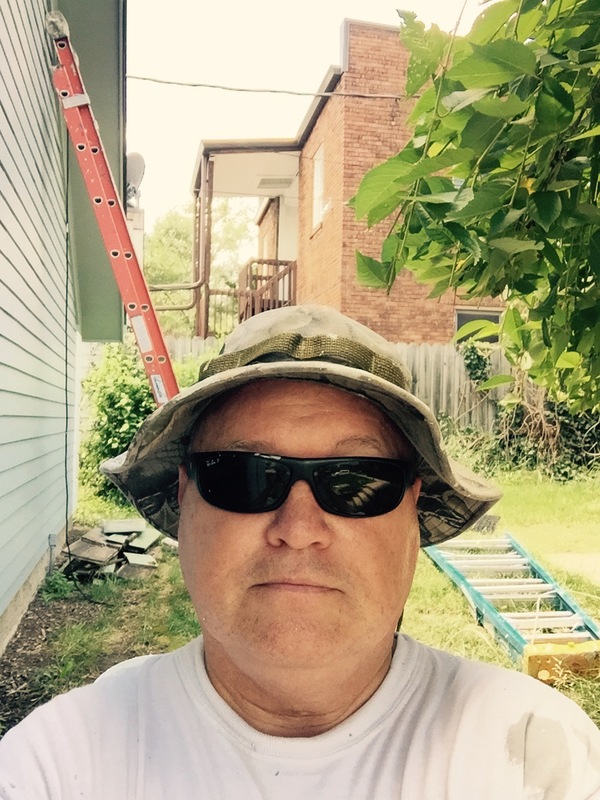 Greg Mrakich Painting LLC is an EPA lead-safe certified firm. For more information about Greg Mrakich and Greg Mrakich Painting. Or, if you live in the metropolitan Indianapolis area and would like to contact me, click here. Posted on Saturday, October 3rd, 2015 at 12:52 pm	under Exterior Painting, Hiring a Painting Contractor, Indianapolis Painting Contractor. Follow any responses through the RSS 2.0 feed. You can leave a response, or trackback from your own site.